Some Star Wars convention exclusives are destined to become rarer than others. This is the story of how a Scruffie became a Footzee. 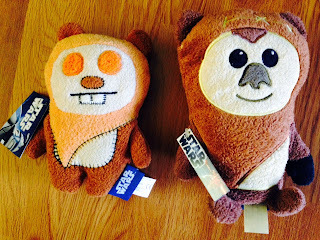 Remember the exciting new line Star Wars Scruffies by licensee Comic Images? It was released as four characters at Star Wars Celebration in 2010. If it seems like a vague memory, there's a very good reason why. While initially meant as an introduction to a new line, these particular plush disappeared entirely after Celebration V. From official posts to listings, everything was pulled down. 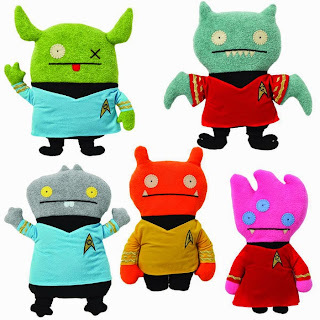 As a side note, let me take the opportunity to introduce you to Ugly Dolls. Ugly Dolls are a separate trademarked line that had been selling their plush years before Scruffies showed up. They even make plush for other licensees, including Star Trek. If you are thinking that these two may bear a close resemblance you wouldn't be alone. Lucasfilm licensing felt the same. Concerned about the stylistic similarities, all remaining Star Wars Scruffies were destroyed after Celebration. 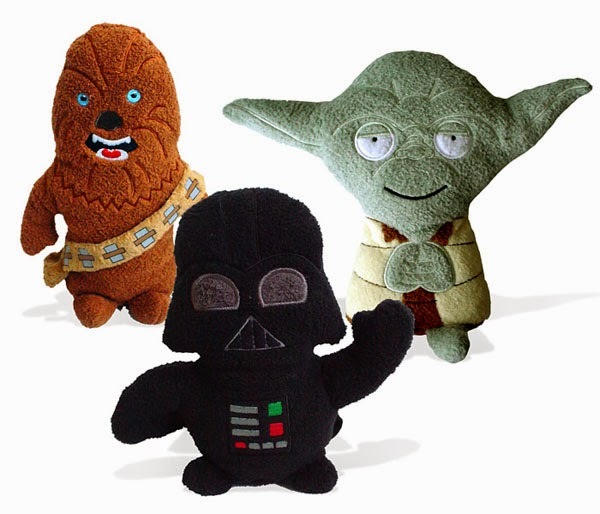 As a result, the only Scruffies you'll see on a secondary market are the four designs that were originally purchased by fans at Celebration V.
After Scruffies destruction, Comic Images redesigned the line to become Footzeez. The line features figures in the same materials and size as Scruffies with a wholly different look. Of all the new Footzeez designed, only two characters were repeated from the original set, Chewbacca and Wicket. Next time you see a large pair of orange Ewok eyes, it could be a good thing!